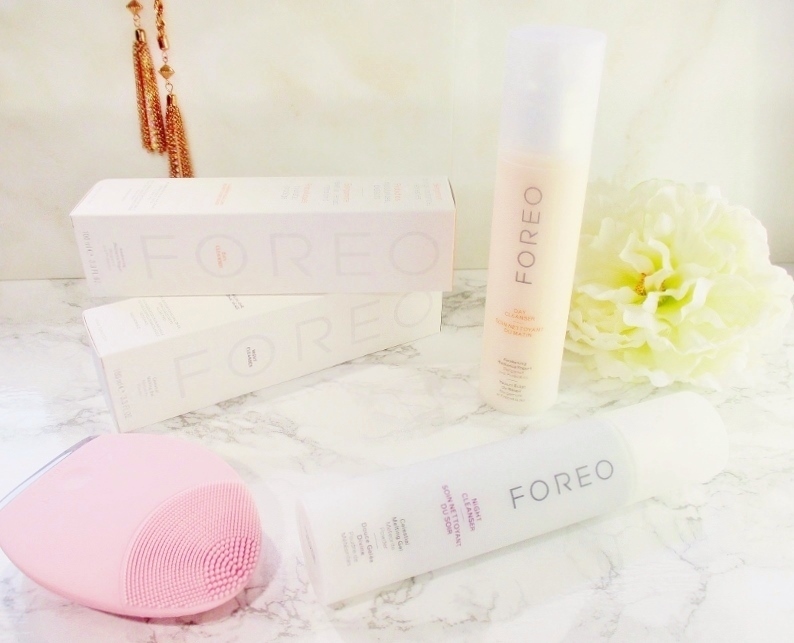 I have owned an original Foreo Luna (pictured - link is to the Luna 2) for a year and a half or so and I love, love, love it so when I received Foreo Day & Night Facial Cleansers created to work in harmony with the Luna I was excited and couldn't wait to try them. Designed to perfectly complement LUNA™ devices, the DAY and NIGHT CLEANSERS are customized to match the skin’s specific daytime and nighttime needs. With surprising transformative textures and unique formulas, they bring a uniquely sensorial experience for all skin types. 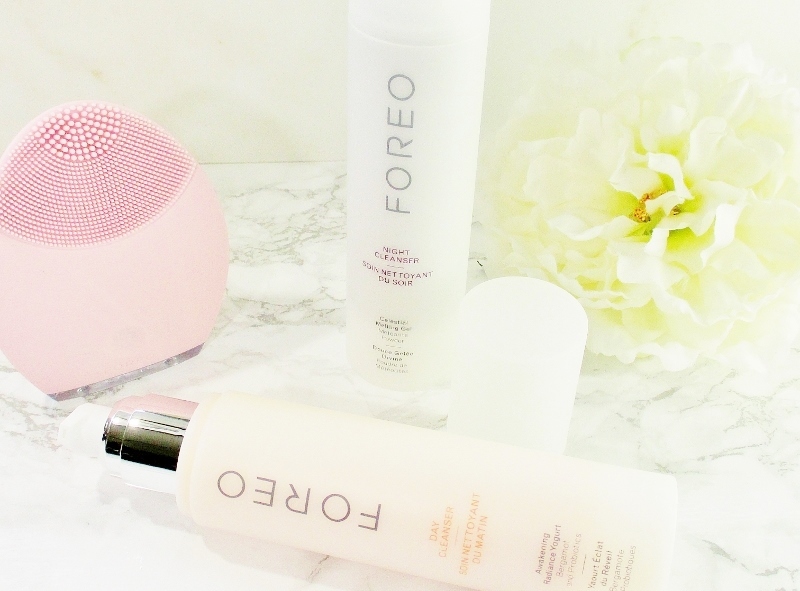 Foreo Day and Night Cleansers are packaged in tall, slender, frosted plastic pump bottles that look sleek and elegant on my bathroom counter. 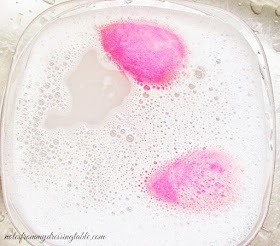 Both of these cleansers have soft, pretty scents that delight my senses as they pamper my skin and rinse away without lingering. If you are very sensitive or dislike scented skin care, these cleansers may not be your cup of tea. Foreo Awakening Radiance Yoghurt Day Cleanser is a smooth yoghurt formula enriched with Probiotics to supply skin cells with nutritive elements and actively defend against daily pollutants. Bergamot and Mandarin Extracts are rich in Vitamin C, an essential antioxidant that brightens and evens skin tone. Apricot Seed Extract moisturizes and nourishes the skin. This cleanser morphs from a silky cream to a light, airy foam that gently cleanses and rinses away to leave my very dry skin feeling clean but not stripped or tight. Water, Propanediol, Glycerin, Coco-Glucoside, Ammonium Lauryl Sulfate, Coco-Betaine, Glyceryl Oleate, Tromethamine, Prunus Armeniaca (Apricot), Kernel Oil, Bifida Ferment Lysate, Lactose, Lactis Proteinum/Milk Protein/Proteine De Lait, Citrus Aurantium Bergamia (Bergamot) Fruit Extract, Citrus Nobilus (Mandarin Orange) Fruit Extract, Magnesium Ascorbyl Phosphate, Prunnus Armeniaca (Apricot Fruit Extract), Cocos Nucifera (Coconut) Oil, Gardenia Tahitensis Flower Extract, Panthenol, Carbomer, Benzyl Alcohol, Xantham Gum, Polyquaternium-10, Sea Salt, Titanium Dioxide, Parfum/Fragrance, Caprylyl, Glycol, Citric Acid, Butylene Glycol, Chlorphenesin, Disodium EDTA, Benzoic Acid, Linalool, Hexyl Cinnamal, Limonene, Hydroxycitronellal, CI 15985/Yellow 6, Tocopherol, Phenethyl Alcohol, CI 14700/Red 4. Foreo Celestial Melting Gel Night Cleanser is a silken gel that melts into a velvety milk infused with Meteorite Powder, a rare and precious element that offers highly effective cleansing while detoxifying and softening the skin. Moringa Extract, a peptide from Moringa seeds that facilitates the elimination of pollution particles and Sweet Almond Oil that soothes, softens and hydrates while this cleanser sweeps away dirt and makeup, leaving my skin feeling and looking soft, fresh and and radiant. Foreo Day and Night Cleansers are free of Parabens, Phthalates, Sulfates, Petroleum, Propylene Glycol, Phenoxyethanol and are formulated of 96% of natural origin ingredients. I very much enjoy these cleansers. They smell lovely, work beautifully in concert with my beloved Luna Facial Cleansing Brush and Anti Aging Device and I recommend them. 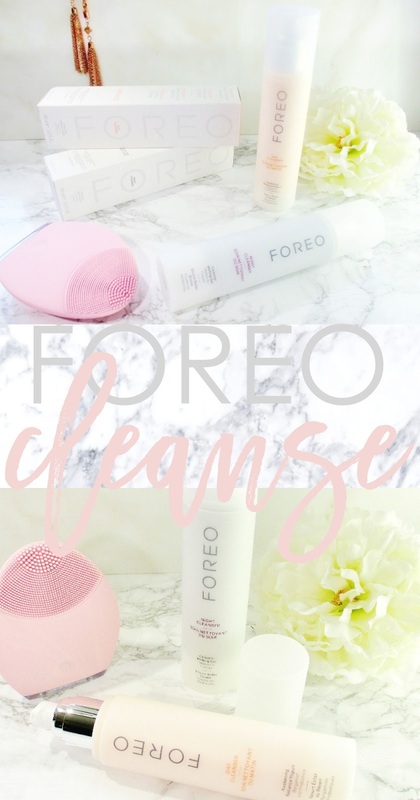 You can stock up on these beautiful cleansers and get a fantastic Luna 2 on the Foreo website, Sephora, Nordstrom and other fine retailers who carry the brand. Are you a user of the Foreo Luna, their cleansers or other devices? 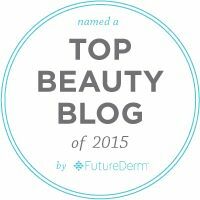 If you have been wanting a Luna 2 Skin Cleansing Brush and Anti Aging Device or other Foreo device, you can save 20% on your purchase through 11/14 with code: FOREOSD16.